Please tell me this is a molting sac. Sorry about the image quality. She is really feisty, and I don't want to get pinched. I've never seen a molt sac before, but this kind of looks like the pictures I've found. I have her in my journal as having molted about two months ago. (But who knows for sure?) I'm worried about the white spots, though. I do not know if it is the quality of the picture but a fat pouch AKA a "molt pouch" is black with white spots and those look like eggs. That is extremly unlikely. Hard to determine he needs to come out more could be eggs could be a molt sac. It is a molt sac. Definitely not eggs. 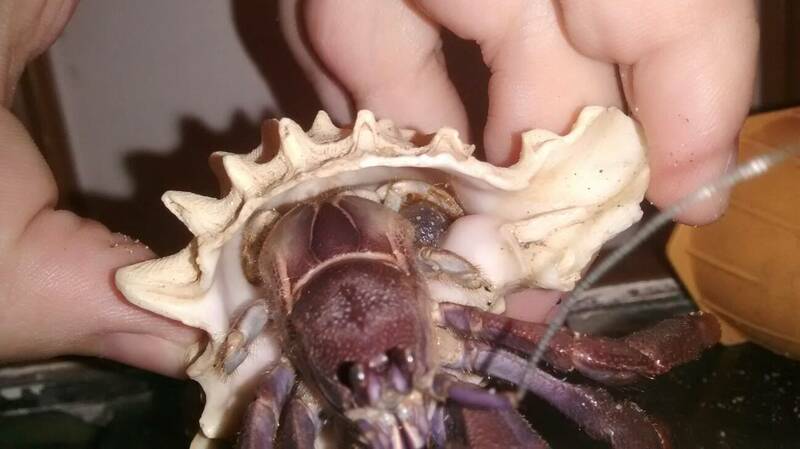 Molt sacs can be various colors, depending on the crab. Your crab may molt soon, maybe not. 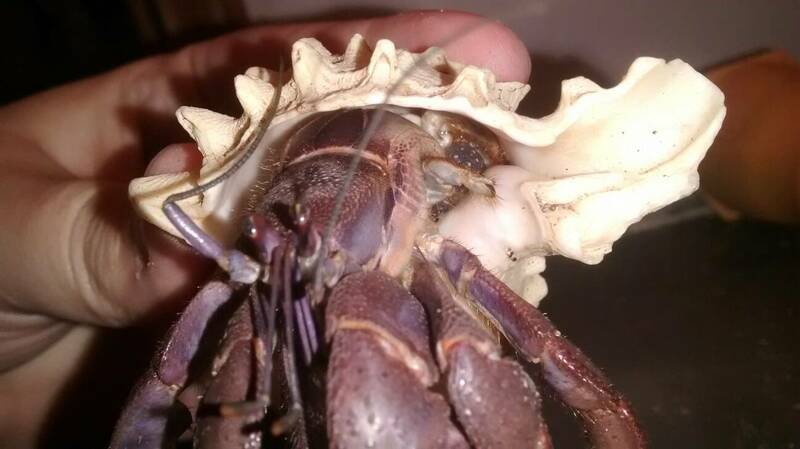 Some crabs seem to carry molt sacs for weeks or months before actually digging down. Some seem to almost always have one. I've had orange colored molt sacs before and bluish grey. OMG, I just found 2 separate things in my tank. They each look like a slimy off white piece of a snail ! Best way I can describe them. Can not figure out how to attach a pic !! Any ideas ?? They just appeared in a matter of hours. Had crabbies for years, never seen such a thing !! Pinkypants wrote: OMG, I just found 2 separate things in my tank. They each look like a slimy off white piece of a snail ! Best way I can describe them. Can not figure out how to attach a pic !! Any ideas ?? They just appeared in a matter of hours. Had crabbies for years, never seen such a thing !! You can post a pic through Tapatalk.